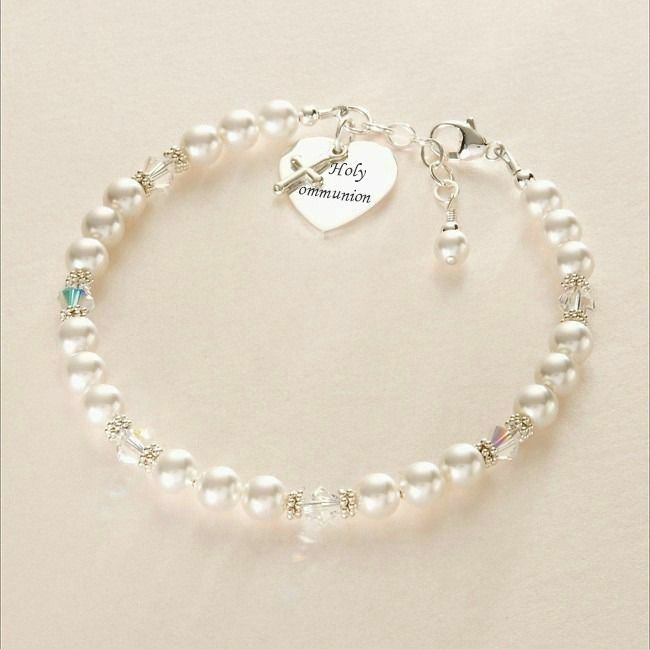 Cross Over Engraved Heart Bracelet. Made with Swarovski white crystal pearls, stunning Swarovski 'Aurora Borealis' crystals and .925 Sterling silver parts. Sterling silver engraved heart charm with Sterling silver cross on the same ring. Any message can be engraved on the charm up to a maximum of 25 characters including spaces, per side. A special, thoughtful gift to treasure for many years to come! Metal Parts: All Sterling silver. Colours: Pale pink, white or ivory. Delivery: We dispatch all orders within 3 days following receipt of cleared payment. Express delivery is available on this item.